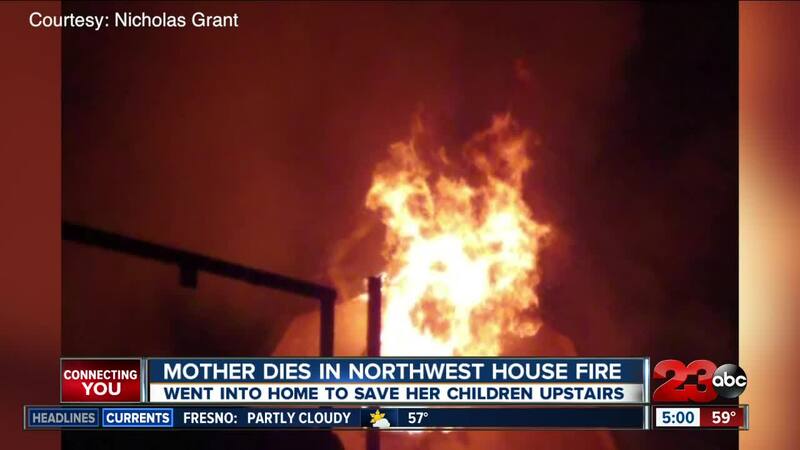 A mother is dead and four children are injured after their house caught fire in northwest Bakersfield Thursday night. Friends said the mother went into the home trying to save her children upstairs. 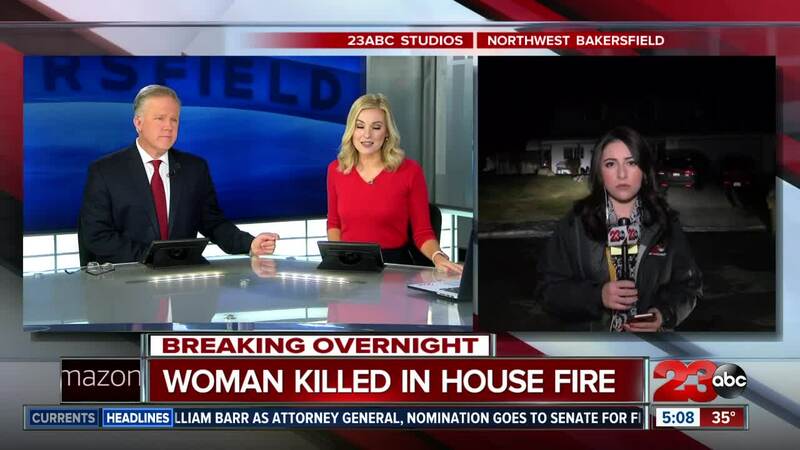 BAKERSFIELD, Calif. — A mother has died and four of her children were injured in a house fire in Northwest Bakersfield. According to the Kern County Fire Department (KCFD), around 11:45 p.m. Thursday, the KCFD Emergency Communication Center started receiving 911 calls of a two-story house on fire in the 10000 block of Cave Avenue in Northwest Bakersfield. Initial reports indicated that one person was still inside the home. KCSO deputies arrived on-scene and confirmed with bystanders that a woman was still inside the house. Firefighters tried to rescue the woman, however they were unable to save her. Four children who were living in the house were able to escape the house fire by jumping from the second story window, according to family friend and Pastor Angelo Frazier. All four were taken to the hospital with minor to moderate injuries. Pastor Frazier identified the woman as Kristina Stratton, 38. Pastor Frazier says he believes Stratton ran in to save her children, and couldn't get out. KCFD is still investigating the cause of the fire, and whether there were working smoke detectors inside the home. Kern County Interim Fire Chief David Witt released a statement saying housefires are "somewhat common" and urging families to create a plan in case a house fire does occur. As your Kern County Interim Fire Chief, I never want to wake up in the middle of the night to hear about someone dying because of a fire. The tragic events of last night make our community sit up and take notice. House fires are somewhat common. We have to be vigilant, as families, to prepare and practice what needs to be done before, during and even after a fire. I’d like to take this time to remind everyone about some of the pillars of being fire safe in the home: 1. Make sure you and your family have a fire escape plan. · Walk through your home and go through all possible exits and escape routes · Know two ways out of each room · Choose a meeting place a safe distance away from the home where, everyone can meet after they have escaped · Once you are out, stay out! Then, call 911. 2. Close the door. A closed door in a home can slow the spread of smoke, heat, and fire. 3. Always have working smoke alarms and carbon monoxide detectors in your home. · Install smoke alarms inside every sleeping room, outside every sleeping area, and on every level on the home 4. Always remember, in any emergency, call 911. North Bakersfield Toyota is collecting clothing, shoes and gift cards for the family and have created a donation drop off location for the items that they are in need of.